As promised, Skype now works in Microsoft Edge without any plugins or downloads whatsoever. 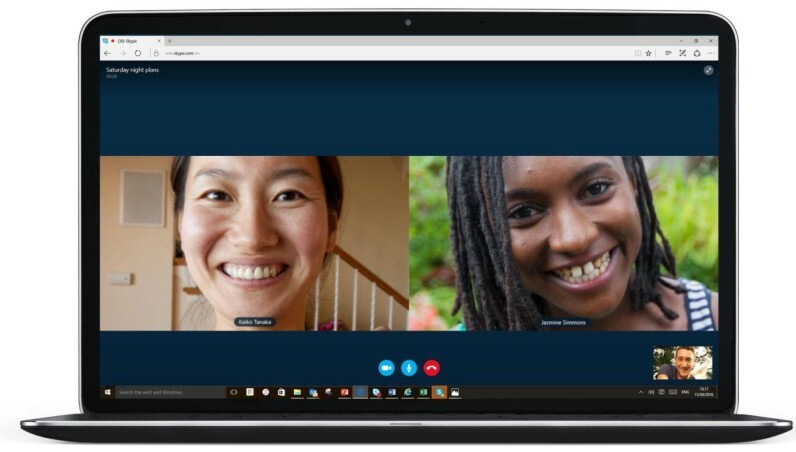 Skype first announced it was working on compatibility with ORTC technology – a standard for video streams over the Web – back in late 2014. Meanwhile Edge, became compatible with the technology last September, so today’s announcement isn’t a huge surprise. While you could use Skype on the Web before, you’d have to install a plugin for calls to work. Now you can simply open a conversation on Skype for Web, Outlook.com, Office Online or OneDrive natively through Edge, no additional set-up process required. That said, the other person you’re talking to must be on the latest version of Skype for Windows or Mac – it doesn’t appear you can call someone on Android or iOS at the moment. It’s another step in making Skype accessible from more devices, following Skype for Web, and the ability to call anyone via a simple URL.